What Is the Process for Appealing a Bail Decision? When making a bail decision, factors like the defendant’s financial resources, length of residence in the area, family connections, and criminal history may all be considered. Sometimes, a bail bond amount is set at so high an amount that people can’t afford it, even with a bail bond in Upper Marlboro . At other times, bail is denied altogether. Are you planning to appeal a bail decision? If so, then read on to learn about the process. Rules for appealing bail decisions and the amount set for posting bail vary from state to state and between federal and state courts. However, defendants are typically entitled to some type of bail review option. It’s important to realize that the scope of an appeal will be limited because the appellate court is only interested in learning if the trial court exhibited an abuse of its discretion. This means that you can expect an appellate court to uphold the original bail decision unless it is obvious that it was erroneous, unreasonable, or arbitrary. 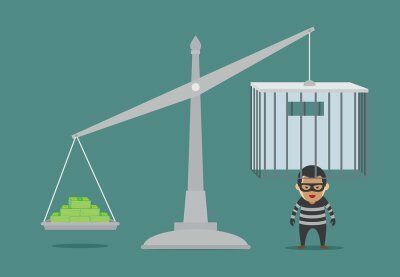 If the appellate court determines that the bail decision appears to be supported by facts and the law, then the amount for posting bail will not be changed. A bail decision typically needs to be final for there to be an option to appeal. 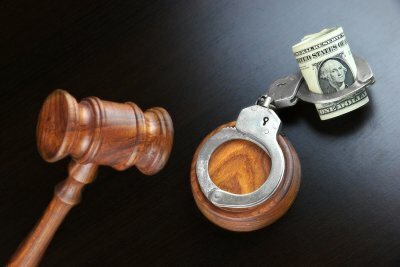 For some states, a bail order is considered final, which means that the defendant can appeal either the denial of bail or the amount set for the bail. In other states, orders for posting bail can be interlocutory, meaning that they are subject to change and may not be subject to appeal. In states where bail decisions cannot be appealed, defendants can usually challenge the judge’s order by using a petition for writ of habeas corpus. Typically, appeals of all kinds are set within strict time limits, so you may need to begin the process soon after the bail hearing. Filing a notice of appeal alerts the court that you plan to bring an appeal, and you can later change your mind and withdraw the appeal. Knowing more about the charges that your loved one is facing can help you make an informed decision about whether you should post bail. Consider whether the person is responsible, is innocent, and if she has a lawyer. If you aren’t confident that she will show up for court, then posting bail may not be a good idea. Ensure that you are fully aware of the potential downsides involved in signing for someone’s bail bond before doing so, and ask yourself if it makes sense to put yourself on the line. When you try to post bail for someone, the bail agent will begin what is called the underwriting process. At this stage, the bail agent collects as much relevant information as possible to determine whether they should write the bond. During this process, you should provide the bail agent with any relevant details that you have about the defendant’s background. Some examples include current residence, friend and family contacts, and job status. If you’re considering posting bail for someone, then you should not do so unless you have the bond’s amount readily available. If the defendant does not show up to court and the allotted time expires, the bond will go to judgment or default. It will be your responsibility to pay the full amount of the bond to the bond agent, who will then pay the court. If you choose to put up collateral, the bail agent will transfer this to cash unless you make other arrangements. Either way, you will be responsible for paying the bond’s full amount. When a friend or loved one is arrested and charged with a crime, he may contact you and ask you to post bail on his behalf in Upper Marlboro. Do you have questions about how bail bonds work ? If so, then watch this video to learn the basics of bail bonds. Bail bonds allow you to put up collateral to get a person released from jail prior to their trial. When bail is set at a high amount, people typically use a bail bond instead of paying all the money up front. A bail bondsman puts up the required amount of money and demands a fee for the service. After an arrest, an arraignment hearing is usually the first time the accused will appear in court. It is during this hearing that bail is set. Once the arraignment is complete, the process of posting bail can begin. If you have a loved one who has been arrested and you are planning to contact a bail bond agent in Upper Marlboro on his or her behalf, understanding the arraignment process can be helpful. Here is what you need to know. An arraignment hearing is an opportunity for the defendant to hear the exact charges against him or her and to enter a plea. During arraignment, the defendant is usually also assigned an attorney if he or she does not already have one. A schedule for the next court hearing is determined during arraignment as well. It is an important hearing because it sets the tone for the entire case and gives the defendant a good idea of not only the charges he or she is facing but also how the trial process will play out, so he or she can make any necessary arrangements with employers and family. Bail is the other big outcome of an arrangement hearing. How is bail determined during an arraignment? In some cases, there is a bail schedule, and the court has no leeway in the kind of bail that is set. In other instances, the court may consider a number of factors, including the nature of the charges, the defendant’s past criminal history, and his or her ties to the community. 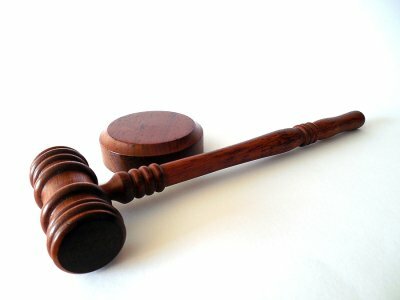 In addition to setting a bail amount, the courts can decide that bail is not appropriate because of the seriousness of the charges, and rule that the defendant must stay in court until his or her trial date. The court may also decide that the crime is not serious enough to require bail and will release the defendant on his or her own recognizance. What happens after an arraignment? After an arraignment, the process of posting bail can begin. Armed with the information about the bail amount, you can contact a bail bond agent to make an agreement to have your loved one released from jail. Keep in mind that you could forfeit your collateral and become liable for the entire bail amount if your loved one misses a court date.